How to bypass iCloud Lock for iOS 7/8! Tethered Bypass! the DNS bypass worked perfectly for me, but the issue with it is that there isnt really much functionality at the moment. but hey it makes the device better than a nice paperwight. OK, so I've found out about this today, but this is probably the best way to remove the iCloud activation lock, it doesn't remove it completely, but it can give you a way to contact the old owner, or even use youtube, play some games listen to music etc. I would write more about it, but I'm too lazy to do so currently, I just wanted to share this with people who weren't aware of it. 1.) How to watch youtube, play games etc. 2.) How to get to the home screen and get a hold of the email address of the old owner, or his phone number. 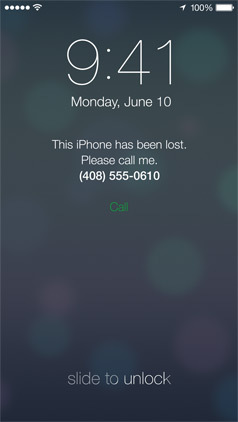 This is a new method to bypass the iCloud lock. This method will allow you to create a home made server to bypass the iCloud lock on your iPhone, iPad, or iPod Touch. Please note, this is not a permanent solution, you will not have carrier service, push notifications, and this is a tethered bypass (meaning you will have to redo this process every time you reboot) But the device can be jailbroken which can lead to a permanent solution. 4. Open Fiddler, and at the top press "Tools" and then "Fiddler Options"
8. Open cmd (as admin) and type "ipconfig"
11. Scroll down to "HTTP Proxy" and tap "Manual"
13. Tap "BACK" then "NEXT"
OFFICIALLY BYPASSED THE iCLOUD LOCK. Should be renamed "How to turn a stolen iPhone into an iPod"
Wow, this is interesting. Bookmarking till I find where I left my old iphone. This seems to be so usefull and popular I'm gonna pin it. Thanks for posting it MONGOLO. Bookmarked, a great share. Finally bypass the lock and recover deleted data. Without this, the program won't let me restore from the backup. Thanks u very much.